Michel Foucault continues to be regarded as one of the most essential thinkers of the twentieth century. A brilliantly evocative writer and conceptual creator, his influence is clearly discernible today across nearly every discipline-philosophy and history, certainly, as well as literary and critical theory, religious and social studies, and the arts. This volume exploits Foucault’s insistent blurring of the self-imposed limits formed by the disciplines, with each author in this volume discovering in Foucault’s work a model useful for challenging not only these divisions but developing a more fundamental interrogation of modernism. Foucault himself saw the calling into question of modernism to be the permanent task of his life’s work, thereby opening a path for rethinking the social. 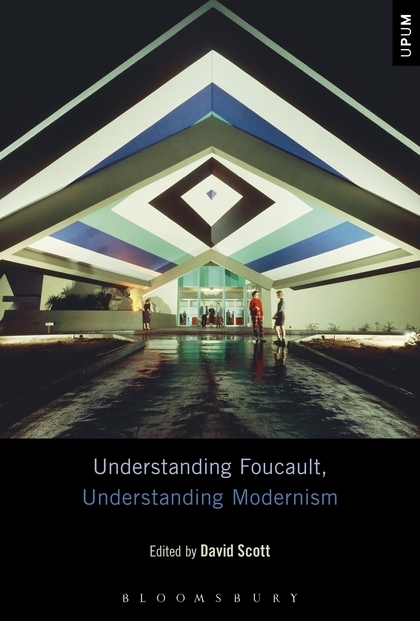 Understanding Foucault, Understanding Modernism shows, on the one hand, that literature and the arts play a fundamental structural role in Foucault’s works, while, on the other hand, it shifts to the foreground what it presumes to be motivating Foucault: the interrogation of the problem of modernism. To that end, even his most explicitly historical or strictly epistemological and methodological enquiries directly engage the problem of modernism through the works of writers and artists from de Sade, Mallarmé, Baudelaire to Artaud, Manet, Borges, Roussel, and Bataille. This volume, therefore, adopts a transdisciplinary approach, as a way to establish connections between Foucault’s thought and the aesthetic problems that emerge out of those specific literary and artistic works, methods, and styles designated “modern.” The aim of this volume is to provide a resource for students and scholars not only in the fields of literature and philosophy, but as well those interested in the intersections of art and intellectual history, religious studies, and critical theory.